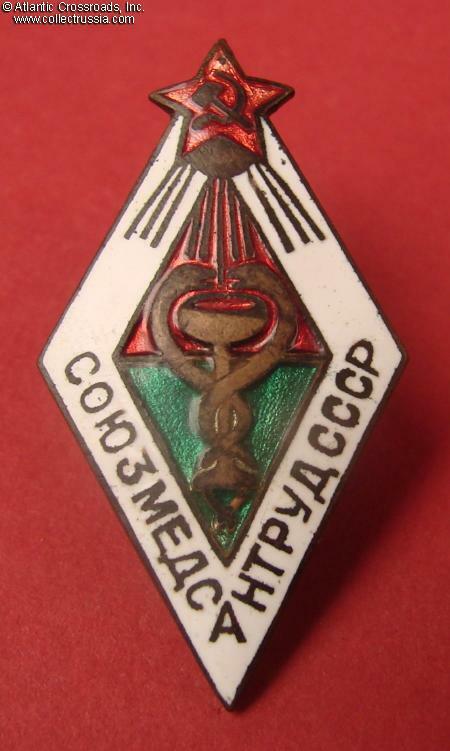 Trade Union of Medical Help Providers (MEDSTANTRUD) of the USSR, membership badge, early to mid-1930s. 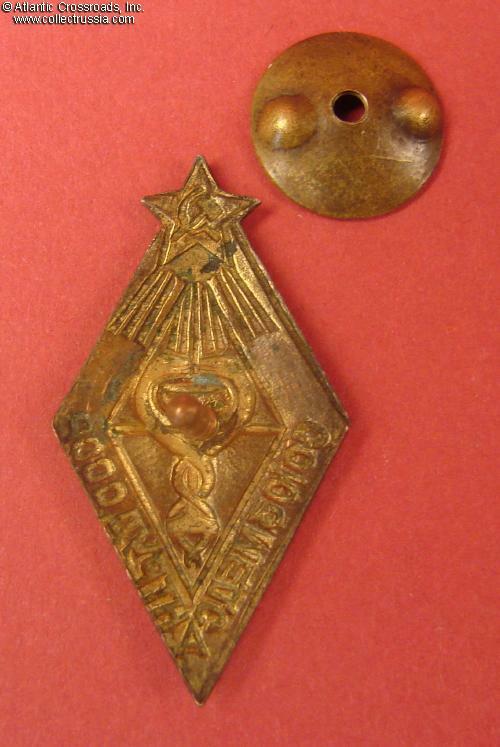 In brass and enamels; 40.2 x 21.6 mm. 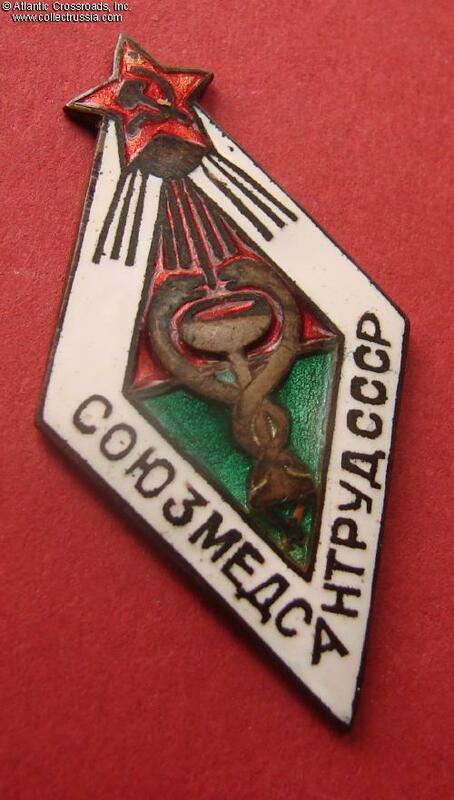 In excellent condition, very uncommon for this early badge. 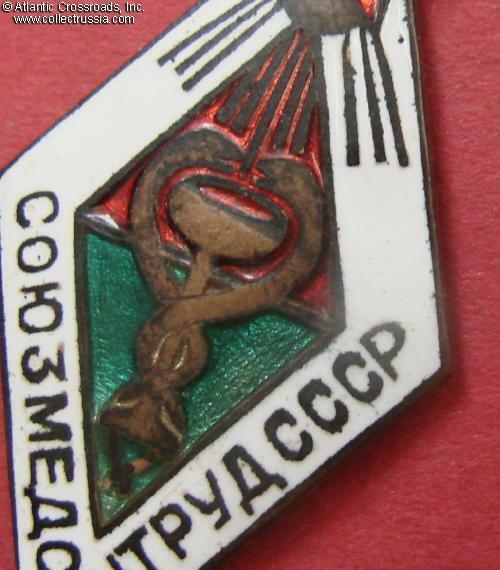 The enamels on the red star has a single, tiny imperfection on the top arm. Otherwise perfect, completely free of the usual chips, flaking or rubbing; the enamel retains nice luster. Some of the original gilt finish is present in recessed areas of the reverse. 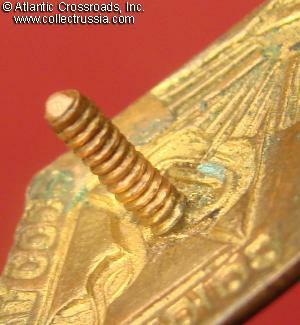 The screw pose is full length, nearly 9 mm; it's slightly bent off vertical axis as is often the case, but is fully sound. 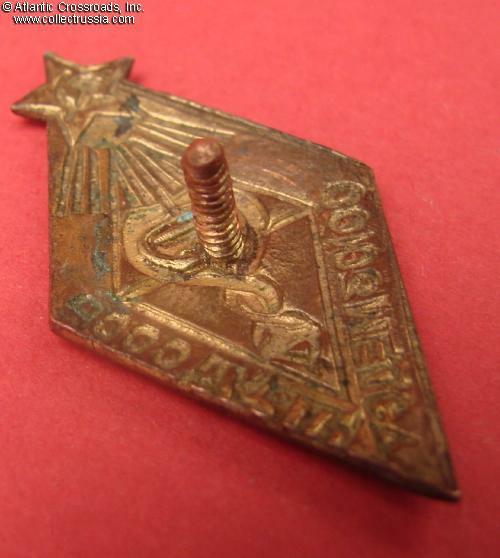 Comes with original screw plate which is somewhat loose due to worn threads but won't slide off the screw post. /"Avers 8", p. 279, fig. 1363/.